John Corkery worked for the Home Office for 30 years in a range of policy areas including Immigration & Nationality, Prison Department, Fire Service Training & Research, and from 1987 onwards in the Research, Development and Statistics Directorate on topics including Courts & Financial Penalties, Firearms, Capital Punishment, Race & the Criminal Justice System, but especially Drug Statistics. 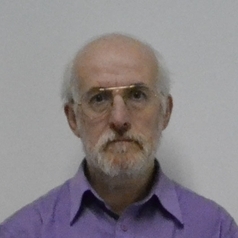 John joined the Department of Pharmacy at the University of Hertfordshire as Research Lead in April 2011. John helped set up the National Programme on Substance Abuse Deaths (np-SAD) in 1997 and has led the Programme since 2005 & the Volatile Substance Abuse mortality register since 2009, both based at St George's University of London.